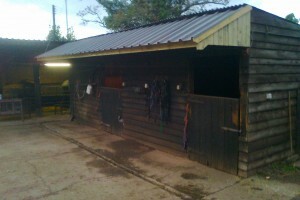 Here an existing unsound canopy was removed from the stables and a new one put back in its place. 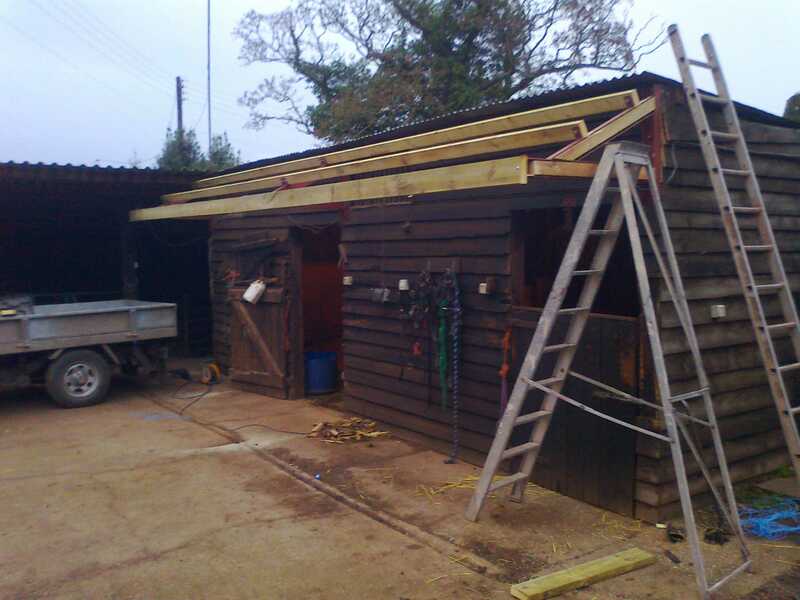 The new steel trusses were fabricated especially to suit the stable by ourselves. 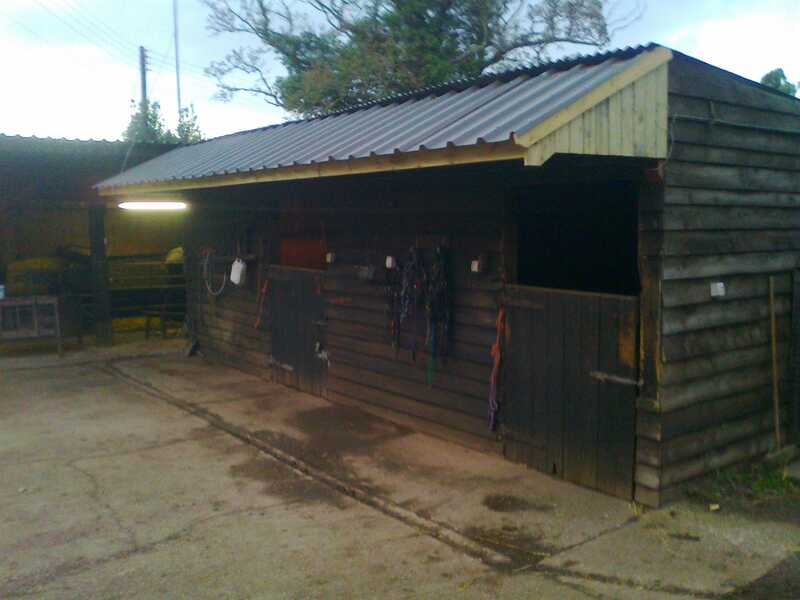 Treated timber was used for Puirlins and covered with colour bond box profile sheeting. 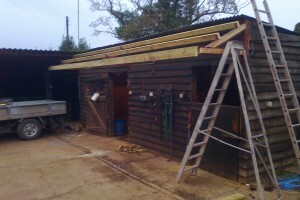 Finally the gable was clad with closed treated boards.